Valletta 2018 Chairman Jason Micallef during the launch of the Valletta 2018 Cultural Programme. The Valletta 2018 Foundation has launched its Cultural Programme for 2018: a collection of over 140 projects and 400 events taking place throughout the European Capital of Culture year. The programme will open on the 20th January with a series of spectacular events in and around Valletta inviting audiences to take part in an island-wide festa. The Cultural Programme is inclusive and varied, engaging various communities and consisting of projects from different disciplines, including music, visual arts, dance and performance, to mention a few. Valletta 2018 has invested strongly in a programme that sees the involvement of around 1000 local and international artists, curators, artist collectives, performers, workshop leaders, writers, designers, choirs and film-makers. While a number of international artists are collaborating with locals throughout the 2018 programme, Maltese artists are travelling to our twin European Capital of Culture Leeuwarden in the Netherlands as well as other cities in Cyprus, Japan, Poland and Greece. The 2018 programme is based on a direct investment of €10 million in the cultural sector. At the centre of the 2018 programme are several infrastructure projects designed to evolve and expand well beyond 2018. Among these are MUŻA, the Valletta Design Cluster, Is-Suq tal-Belt and Strait Street. Over the past months, the Valletta 2018 team grew from a group of five people to a solid team of 45 individuals working on a full-time, part-time or freelance basis. 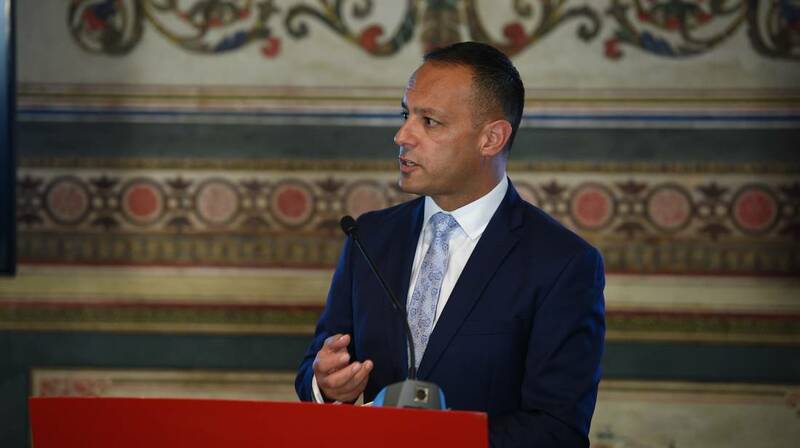 Valletta 2018 Chairman Jason Micallef said: “We have worked tirelessly to design a programme providing equal opportunities for everyone; ensuring that culture is not elitist and that inclusivity becomes not only a priority, but a necessity. The year 2018 promises to be a time which sees the most cultural activity and related celebrations since Malta’s Independence”. Valletta 2018 Programme Coordinator Joanne Attard Mallia said: “2018 will be a unique year. We are looking at a 12-month strong programme focused on exploring and pushing our understanding of culture and art: combining traditions, art forms and concepts in innovative, even unusual, ways. “Whether it is as a performer, as a participant in a workshop, as a Tal-Kultura volunteer, or as an audience member, this is a programme that invites everyone to participate, to experiment, to contribute and to be part of it,” Ms Attard Mallia added. Valletta 2018 Artistic Director for Special Events, Mario Philip Azzopardi said: “After years of planning, preparation and hard work involving hundreds of artists, craftsmen, organisers, technicians, volunteers and a good dose of unabated good will and determination, it’s time for our own Valletta to assume the title of ‘European Capital of Culture’. The Minister for Justice, Culture and Local Government Owen Bonnici explained that over the past years, Government, together with the Valletta 2018 Foundation and other entities, strived towards strengthening culture and bringing it closer to everyone. With reference to the prestigious title of the European Capital of Culture 2018, Minister Bonnici said that he wholeheartedly believes that this event provides everyone with the opportunity to taste the diverse aspects of culture and gives it an important place in our daily lives. Minister Bonnici congratulated the Foundation on organising activities in the communities to achieve this. The Valletta 2018 Cultural Programme can be downloaded from here.